The great thing about having hit 16 campgrounds in Florida during our January and February meander out of the state (in addition to another half dozen during weekend trips before we started full timing), is that we now know some of the best RV spots to which we can return, as well as which ones we don’t have much interest in seeing again. 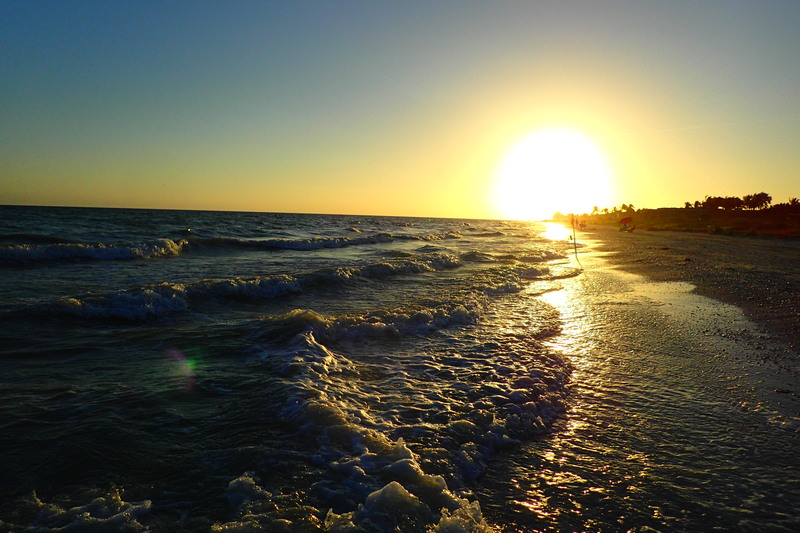 So while we tried something new in north central Florida, as we moved further south and to the Gulf Coast, we knew for certain we wanted to go back to Sanibel and the only RV campground on the island, Periwinkle Park. Periwinkle is mostly mobile homes, but on section of the park is dedicated to traditional RVs. These 49 sites are very difficult to reserve during peak season as the owners and managers have discarded both a market based model and “first come, first serve” reservations in favor of loyalty to those customers that are loyal to them. In other words, the long term, repeat seasonal guests are given first chance to reserve, and then it is open to us newcomers. Working your way into becoming one of those preferred customers apparently takes years, coming back season after season for the short stay openings or during non-peak months. Eventually your name will bubble up as openings occur among the ranks of the veterans. 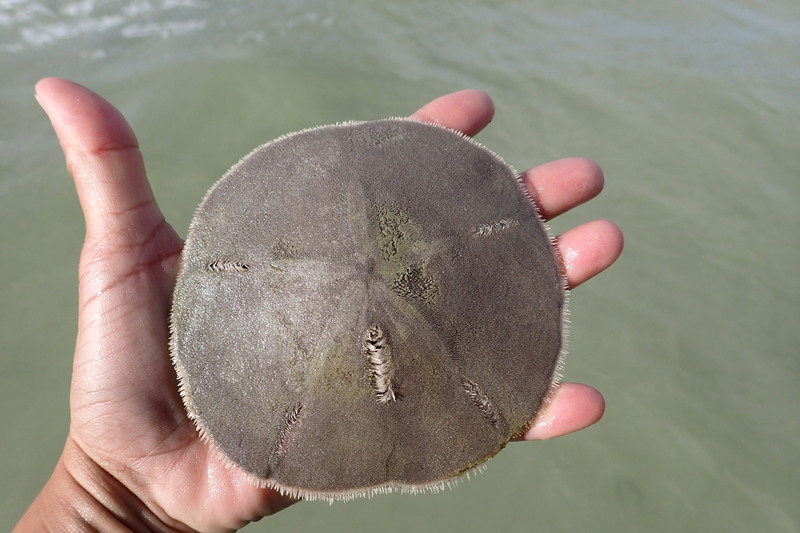 Live Sand Dollar, found these by the dozens just off shore less than an inch below the sand. As an example of that sense of community, some years back the residents banded together together to enlarge one of the pond-side covered decks, making it suitable for the number of people showing up every night for an unofficial social hour. Another example: the owners of Island Cinema, a small movie theater on the island, partners with Perwinkle Park to have a private showing of first run movies on many Saturday mornings. Thus we got to see Star Wars; The Force Awakens for $5! This is one of three private parks at which we have stayed where we felt that since of community and social interaction among the residents, the other two being Rambler’s Rest in Venice and Bay Breeze in Alabama. So it is no surprise that we are becoming repeat attendees at the two Florida sites, with full intention to get back to Bay Breeze eventually as well. 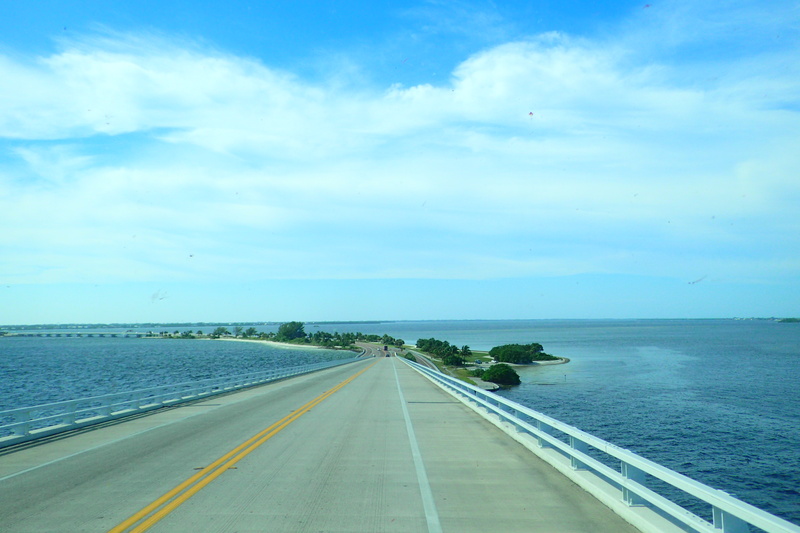 As for Sanibel, it was great to park our RV in one spot for a week for a reason other than a break down. We took our bikes the short ride to the beach nearly every day. Rosemarie shelled on three different beaches, hauling in easily her biggest catch ever during a long walk from Bowman’s Beach towards Blind Pass. Beach, sea breeze, cocktail, lounger chair. The hard knock life. During several of Rosemarie’s outings to the beach for shells, I occupied myself working my way through the unusually large number of geocaches on the island. Between our last stay and this one I have found about 50 caches. Another trip or two and I should be able to clear the island. 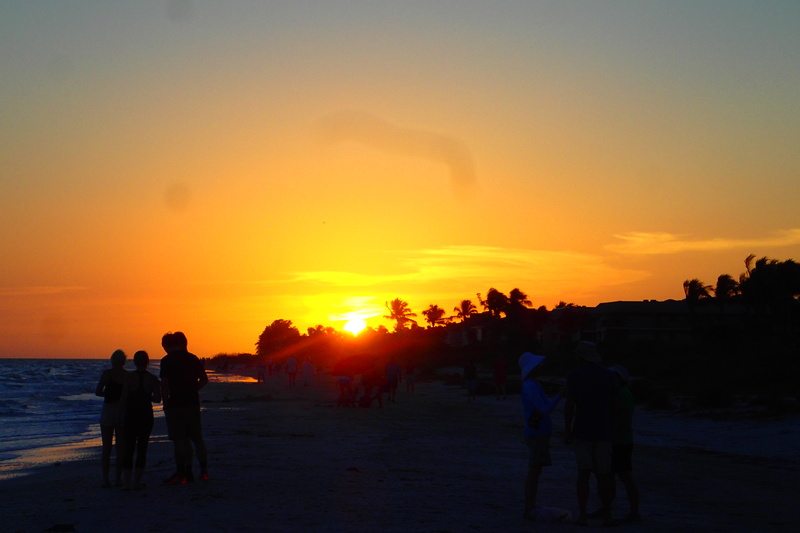 If there is a negative to Sanibel it is the cost. While Periwinkle’s rate is expensive by our standards at $55 per night, it is probably below market value as evidenced by the difficulty to get a site. It is the rest of the expenses that got to us: $12 just to get our motorhome and tow vehicle across the toll bridge. Groceries and supplies typically 50% more than off island prices. Gas 35 cents more per gallon. The lesson, which we seemed to have forgotten from our last visit, is to stock up completely before crossing the bridge. We’ll remember next time. Periwinkle Park is one of our favorites, too — we were there for a week just before Christmas. Honestly, we don’t want to go there Jan-April — the island is way too crowded then. It’s much more mellow in December (at least in comparison to the height of the winter tourist season). 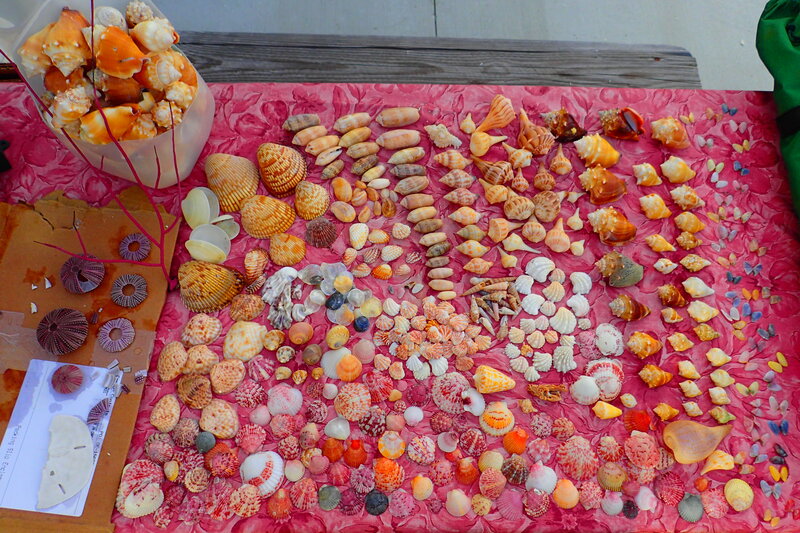 You made quite the shell haul! We also found lots of those little fighting conchs, but all were alive and we returned them to the ocean. Yes, even in the week before Christmas the crowds were picking up. Looks like we may have the chance to test our crowd tolerance; its looking like we will head back for six days in January before moving over to the Atlantic coast in south Florida. As for the shells, like you we don’t keep anything living. Rosemarie stopped counting at 101 how many of the live conchs she found and returned o the sea.